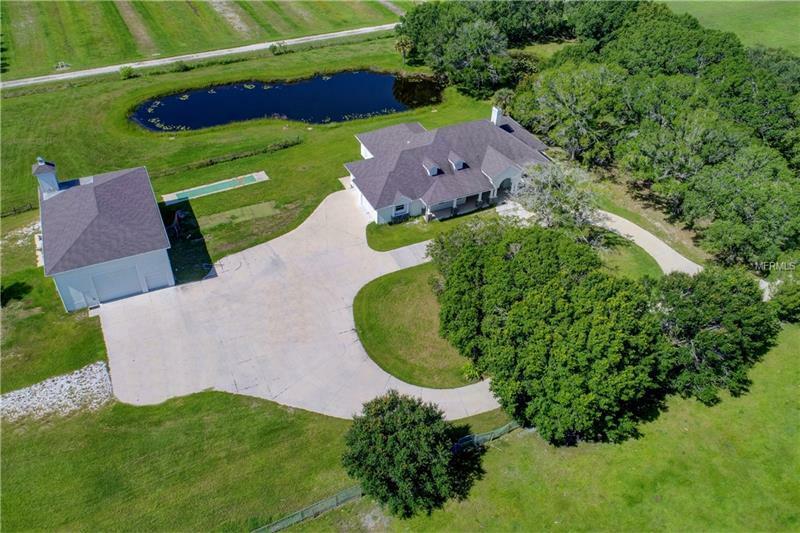 Beautiful Custom Home constructed in 2015 on 10 acres that is located just minutes away from Lakewood Ranch Main Street and the University Parkway corridor. The home contains 3534 sq. ft. of living space and 5186 sq. ft. under roof. The home features 10' and higher ceilings throughout a spacious master suite with an over-sized walk-in closet office home theater game room gourmet kitchen wood and marble flooring custom woodworking and tray ceilings throughout. There is just simply too many features to list! In addition to the spacious 3 car attached garage there is a detached 2400 sq. ft. garage with 14' garage doors 20' ceilings and a bathroom. The garage will accommodate RV's boats trucks and much more! The home sits several hundred feet off Lorraine Road. Entry to the property is gated and all driveways/parking areas are paved. No expense was spared in building this beautiful country estate.